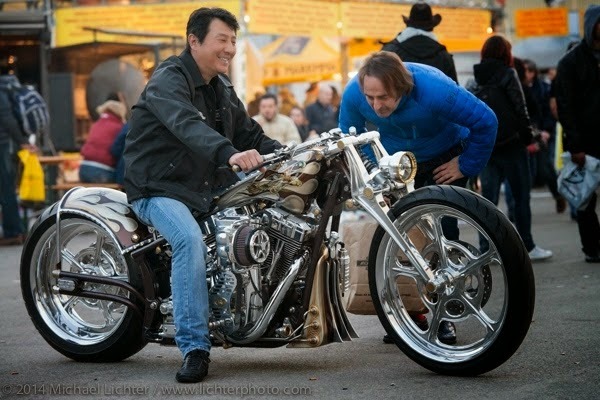 This year the annual exhibition held at the Buffalo Chip during the Sturgis Motorcycle Rally, and curated by Michael Lichter, has the title ‘Built for Speed - Race Inspired Motorcycles and Art’. Once again Michael is co-curating his Motorcycles as Art exhibition with Paul d'Orleans of the Vintagent (www.thevintagent.com), with this year’s theme being race inspired design and art. To reflect this theme each custom bike in 'Built for Speed' reflects a branch of racing; speedway, flat track, drag, board track, GP, and land speed racing, and will be displayed beside the racing machines suggesting the origins of each style. 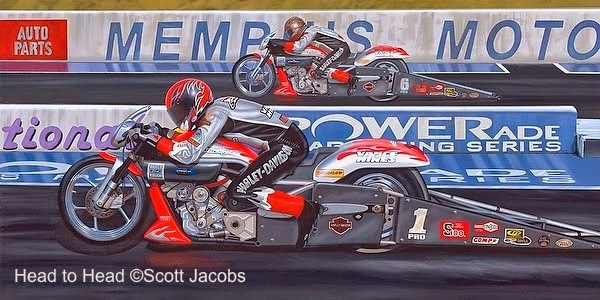 The motorcycles will be displayed among race inspired pieces of art including paintings, photography, helmets and prints. Medaza Cycles (Ireland), Harlot Cycles, Led Sled Customs, Paul Cox Industries, Bare Knuckle Choppers, Roland Sands Design, Skeeter Todd, Tator Gilmore, Warren Lane and Zach Ness. While the factory-built machines include a custom Street 750 from H-D, Indian's Spirit of Munro streamliner, a land speed racer from Confederate Motorcycles, Icon's Iron Lung road racer, George Smith's Tramp (replica) from S&S, Deus Ex Machina's DAKDAAK Honda CRF 450X and Clem Johnson's original Vincent Barn Job from John Stein. The art work being exhibited along with the bikes comes from the likes of Conrad Leach, Darren McKeag, David Uhl, Eric Hermann, Harpoon, Jeff Nobles, Marc Lacourciere, Michael Lichter, Richie Pan, Scott Jacobs, Scott Takes, Susan McLaughlin and Paul d'Orléans, Tom Fritz, Trish Horstman and an all new ‘21 Helmets’ display of race inspired Bell Helmets from SeeSee Motor-Coffee in Portland. 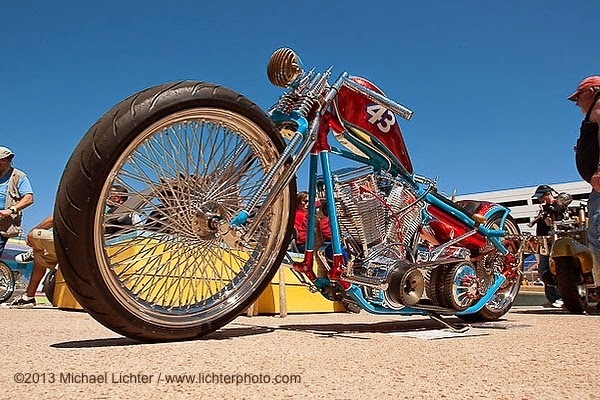 Built for Speed - Race Inspired Motorcycles and Art will run at the Buffalo Chip from Saturday August 2 to Friday August 9, and admission is free.